Are your students utilizing Google Drive yet? Google Drive is housed in the cloud and offers many benefits to both students and teachers. 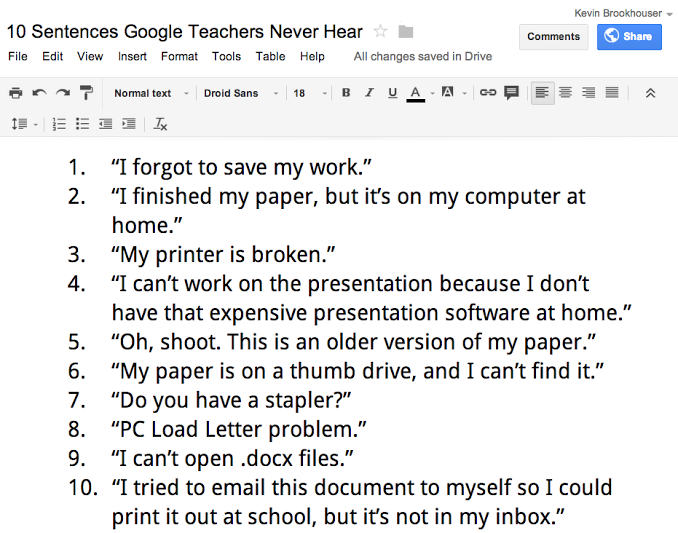 The other day I came across the list below entitled, "10 Sentences Google Teachers Never Hear" by Kevin Brookhouser. It does a great job of illustrating some of the main reasons how Google Drive can make a teachers life a little easier. Want to Learn More About Google Drive?